Bob Dylan doesn’t try to compete with Sinatra -- he knows better than that. Shadows in the Night is clearly an act of love and honor. The whole idea of the gravel-throated Bob Dylan singing material Frank Sinatra covered seems absurd. Dylan is well-known for having a terrible voice, Sinatra for having a great one -- indeed, Sinatra’s first studio album back in 1946 was called The Voice. However, Dylan manages to successfully cover Sinatra on his newest album, Shadows in the Night, by using a method made famous by the Chairman of the Board. Sinatra always said he never sang a bad song; you could never go wrong by sticking to good material, rather than choosing styles and tunes that were popular at the moment. Dylan does the same. You won’t find Sinatra’s award-winning cuts, his biggest hits, or even any of his signature songs here. Several of the ten songs on Shadows in the Night are better known through being sung by other vocalists. However, the songs share a certain brilliant quality of emotive excellence that allows Dylan to dig deeply into their sumptuousness. The Voice of a Generation doesn’t try to compete with Sinatra -- he knows better than that. If you are looking for renditions from the Great American Songbook sung with a beautiful vibrato, there are many other discs out there that can serve that function. In contrast to that type, Dylan croons softly. He shows those who bestowed titles on him because of his influence during the '60s mistook relevance for his love of song. He’s always displayed his reverence for the music that preceded him. After all, isn’t that the very essence of a folk artist? From there he went back to rock, his first love, and then to country, then to blues, and finally gospel. Going back to pop makes perfect sense in this regard. The 73-year-old Dylan’s voice bears the scars of age. He uses this to his advantage and offers versions of love songs associated with a younger person to give an old man’s perspective. 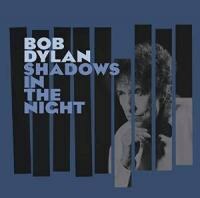 Dylan turns the jazz standard “The Night We Called It a Day” into a nostalgic look at a long-ended affair. The references to the past (“There was a moon out in space”; “I heard the song of the spheres”; “I hadn’t the heart left to pray”) are recollected with affection more than regret because of the amount of time that has gone by. The pain has mellowed. The singer recollects the past with a sweet memory of the love as well as its aftermath. Looking back sweetly on a love that ended in pain is one of the few benefits of aging. As is reflecting upon one’s first discovery of love; Dylan offers a gentle take on the Oscar Hammerstein II/Richard Rodger’s “Some Enchanted Evening”. The song conveys the rush one finds when true romance hits. Dylan’s voice may wobble and even tread off-key, but this only reinforces the notion of how one gets knocked off-kilter by unexpected feelings. “Who can explain it / who can tell you why / fools give you reasons /wise men never try," Dylan unpretentiously sings. He celebrates the mystery of love even after all these years. Ol’ Blue Eyes was known for working with musical arrangers such as Nelson Riddle and Gordon Jenkins, who used whole orchestras to create a lush background for the great man’s voice. Dylan’s accompanied by a small acoustic combo whose muted instrumentals compliment the smaller range of his voice and showcase his phrasing and expressions. There are no featured instrumental solos. Dylan does not attempt vocal gymnastics. Dylan and company did not use modern recording techniques. Instead, the singing and playing work together to create a sound that evokes a mythical tradition where these tunes just hang in the air. This connects disparate material such as the happy work song “That Lucky Old Sun” and the slow, sad ballad “I Was a Fool to Want You”. They come from a time before and are offered in a similar style that suggests a shared sense of history. Dylan has coyly said he’s not covering these Sinatra songs, he’s uncovering them from the weight of all those who have added their dross to the originals. There’s no sarcasm, cynicism or irony on this disc; no hipster coolness, no vocal embellishments. Shadows in the Night is clearly an act of love and honor.